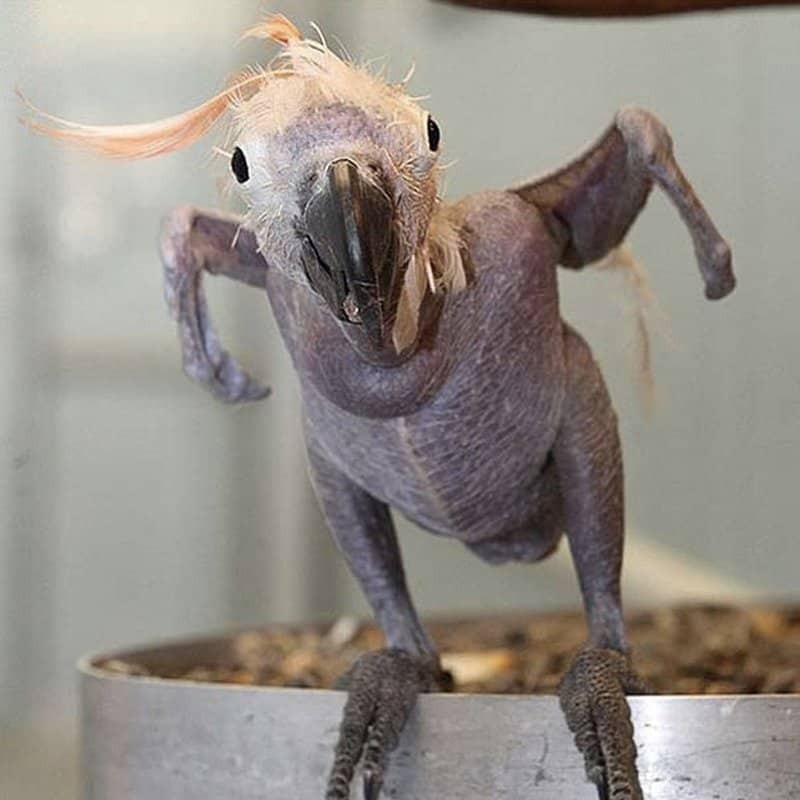 Oscar the Parrot had Beak and Feather Disease–an illness that made him pick out all his own feathers because they irritated him. 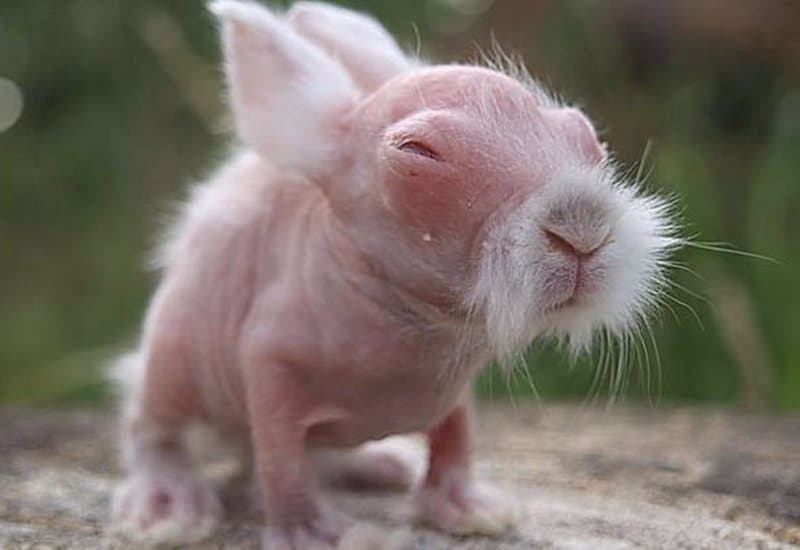 This adorable rabbit was born with almost no hair. Who knew rabbits look just like enlarged rodents without their fluffy fur? 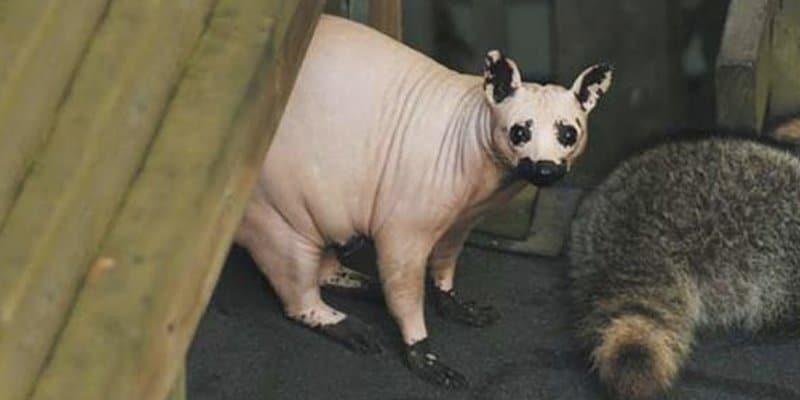 This raccoon lost all his hair because of mange, a fairly common condition in the animal kingdom. 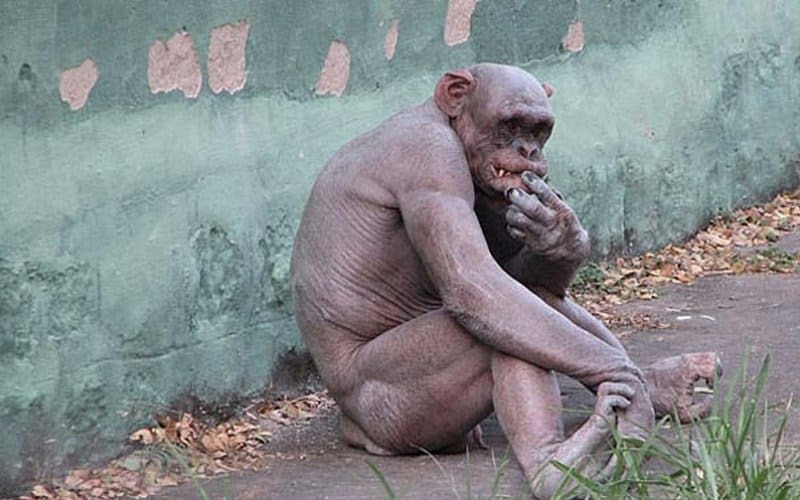 The poor guy was found struggling in the cold to survive without fur in the freezing Canadian wilderness. 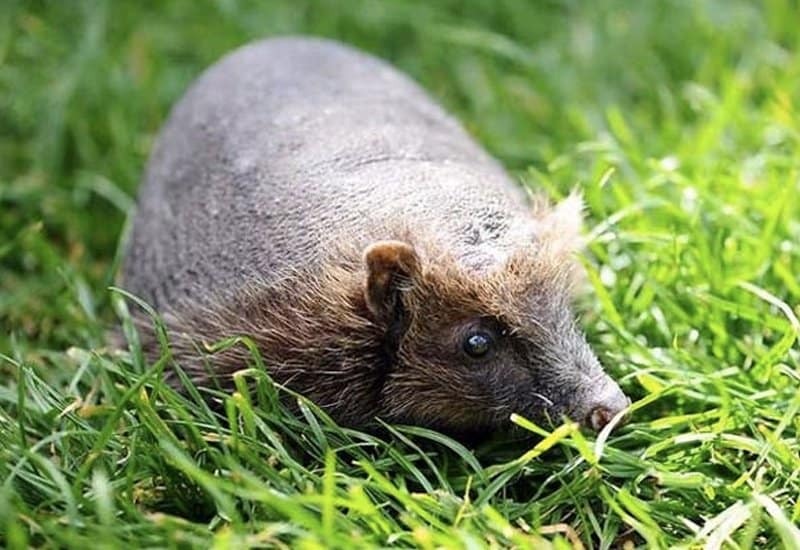 Betty the Hedgehog is bald, and Foxy Lodge Rescue Centre aren’t exactly sure why. 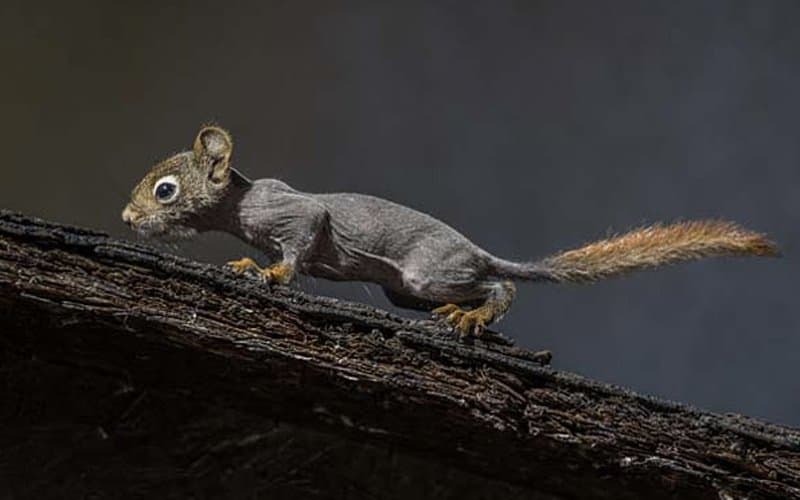 Squirrels without hair look like rats! They often lose their hair because of mite infestations. 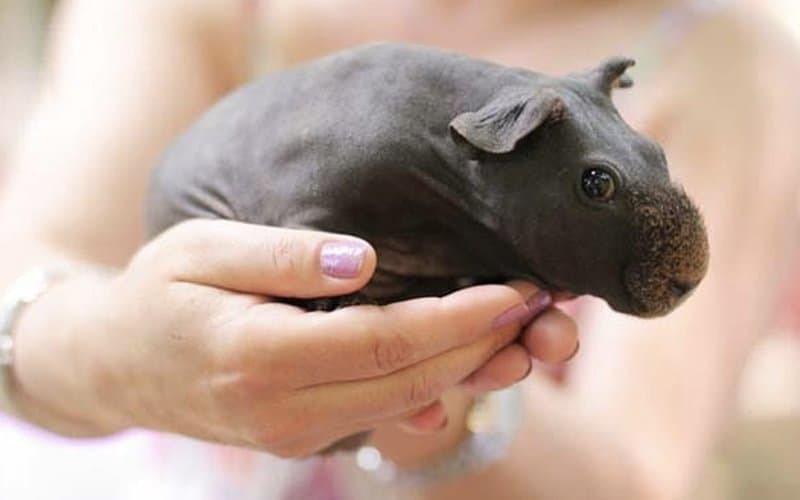 Hairless guinea pigs are also known as ‘skinny pigs’, although this one looks more like a minuscule hippo than a pig to us! Another marsupial, Karmann the wombat was an orphan. 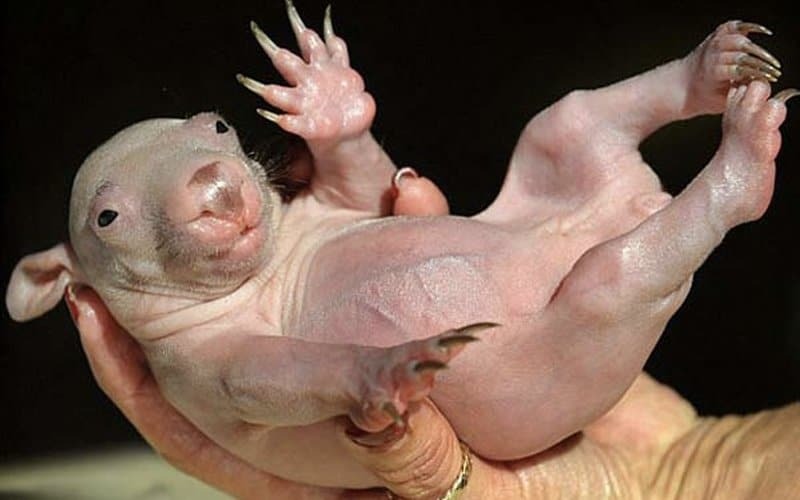 He needed to stay in his mother’s pouch until seven months to grow sufficient fur. 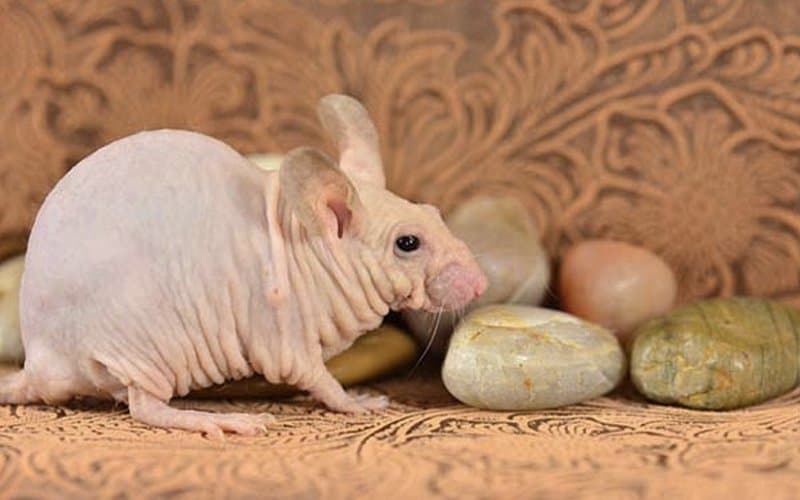 Naked rats are bred and kept as pets. They are also used for scientific research. They certainly look nastier without hair. 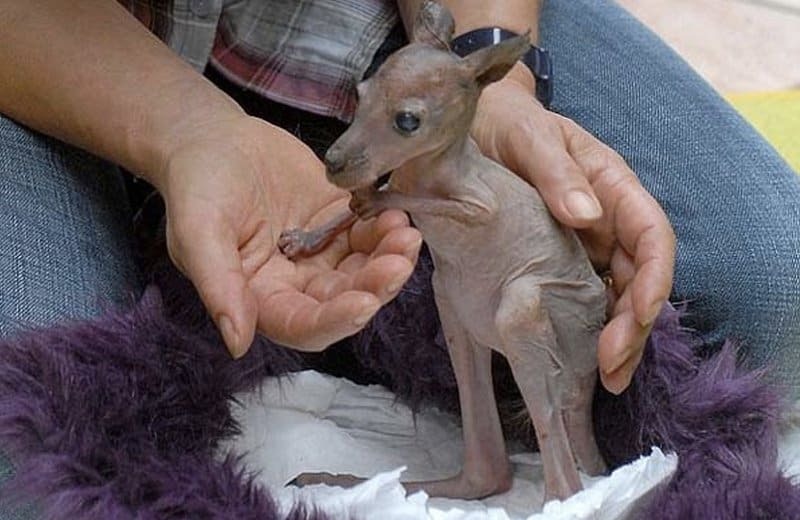 Quite a few dog breeds are hairless. 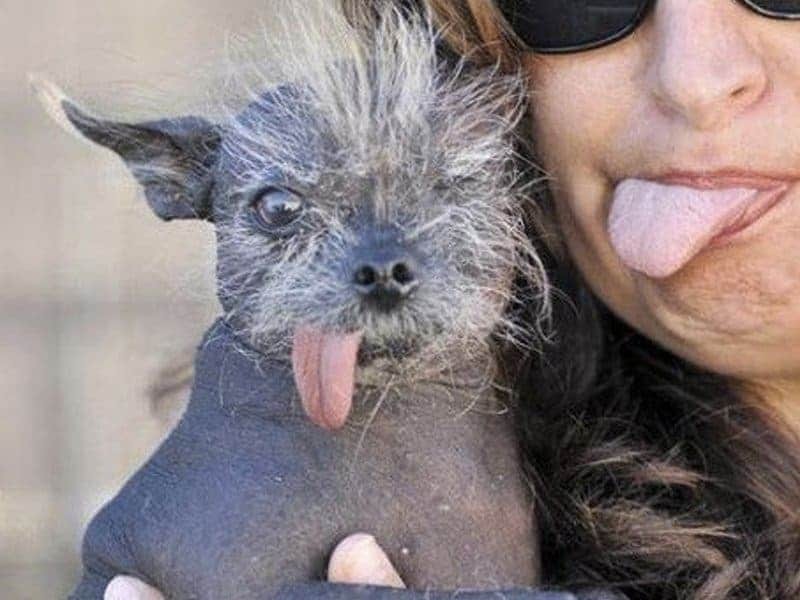 This breed type is known as the hairless khala, and was voted in 2002 as the ugliest dog in the world. 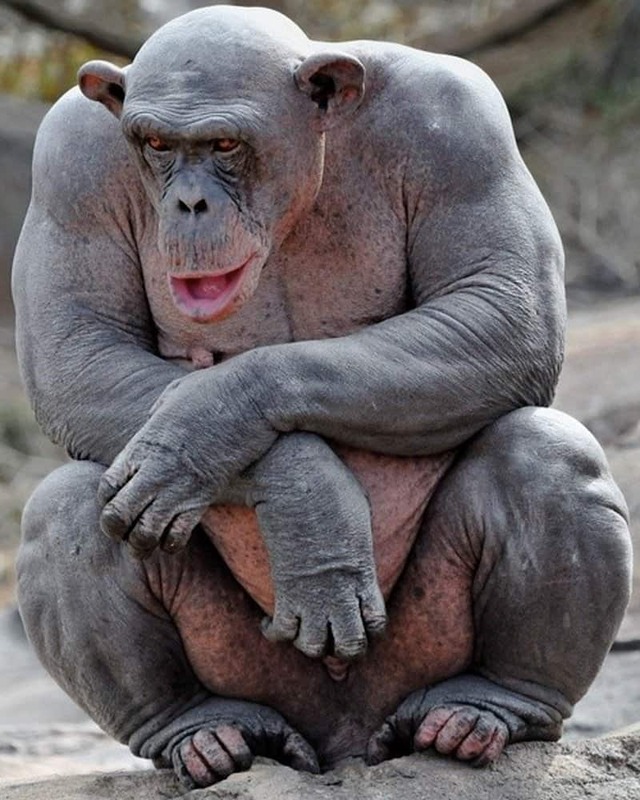 ‘Cinder the Chimp’, better known as ‘The Naked Chimp’, is one famous example of an animal with alopecia areata. 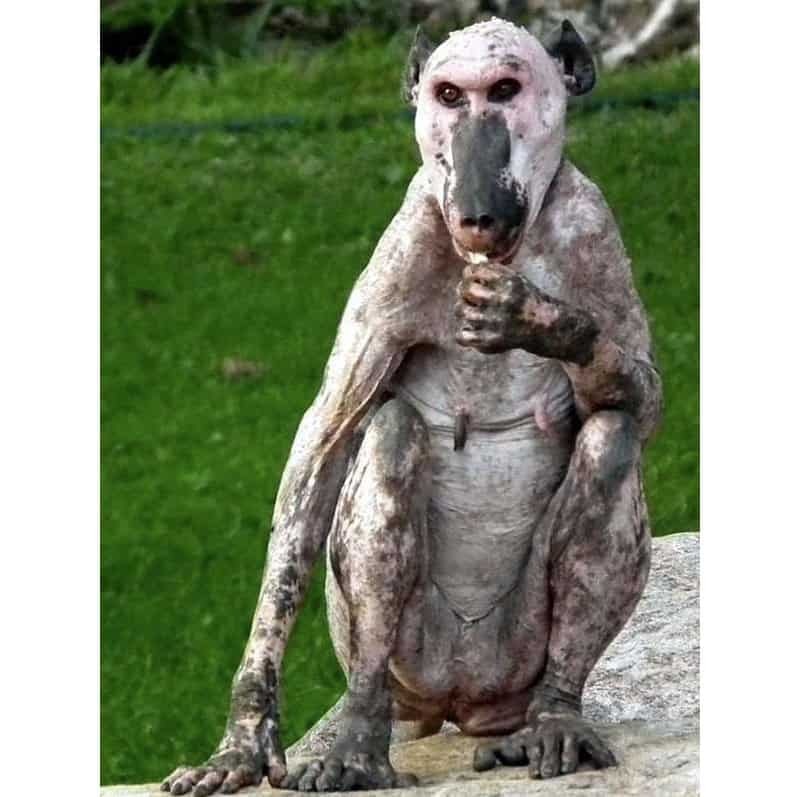 Were you able to recognize that this animal is a hairless baboon? 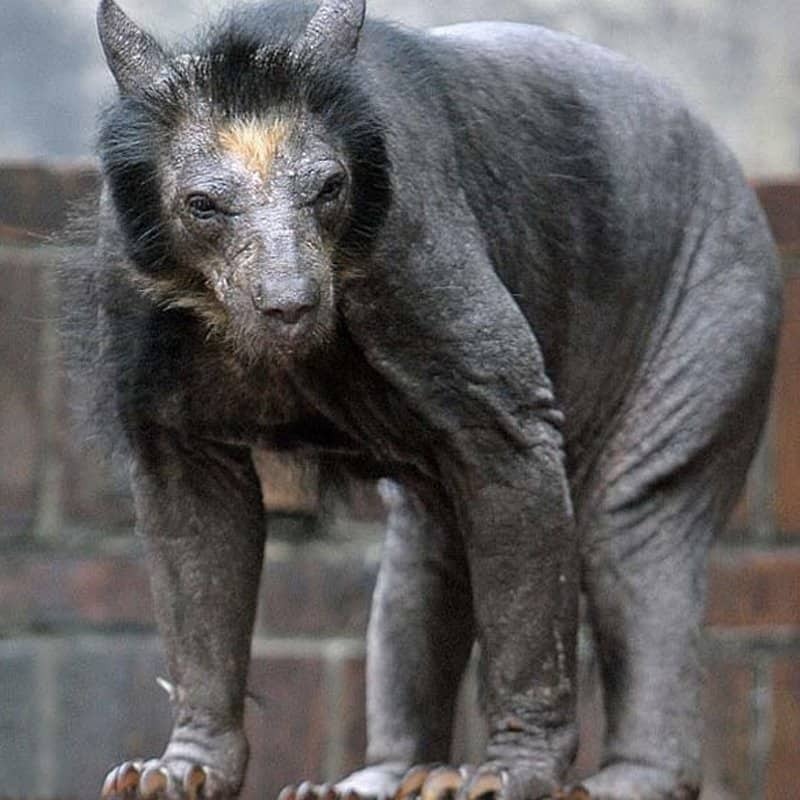 This one was spotted in the wild, and is believed to be another case of alopecia. 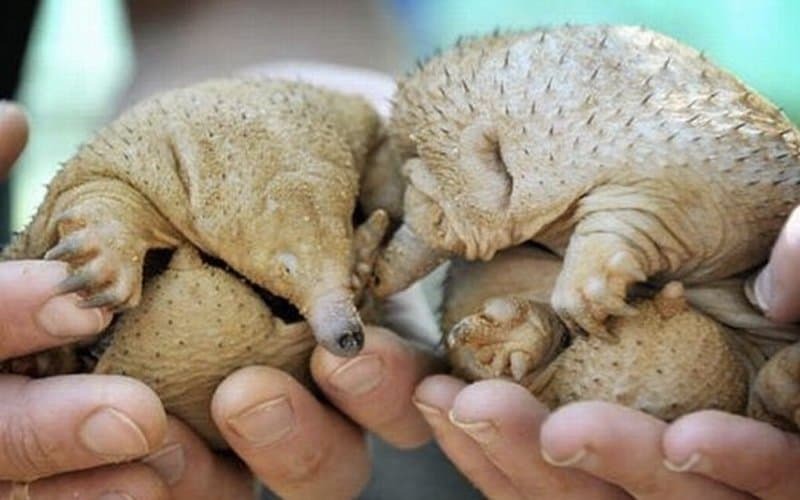 These two anteaters are born with no hair, however, they have little spikes poking out of their backs. 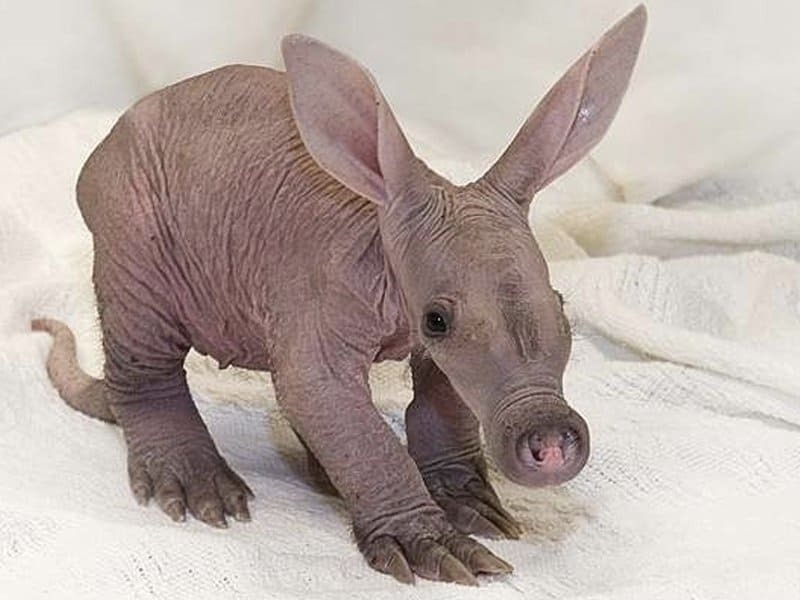 Aardvarks are born bald and fragile, but they usually grow fur later on. 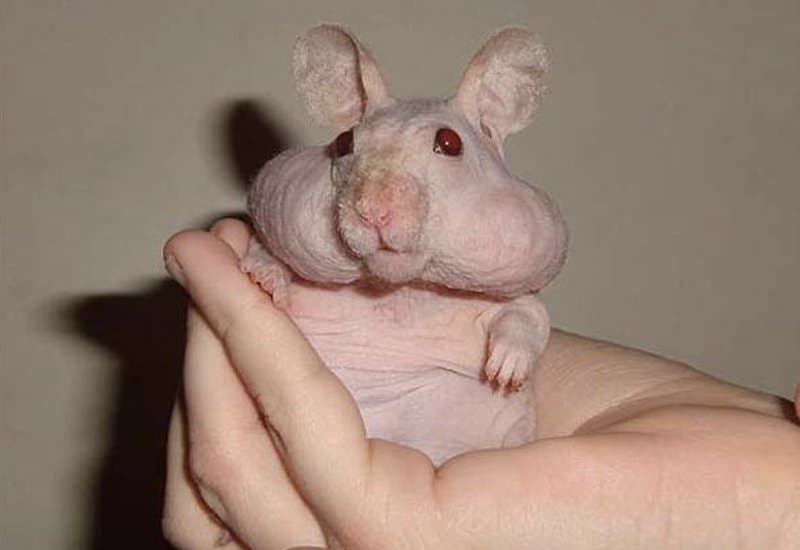 Hairless Syrian hamsters are believed to be caused by a rare gene. 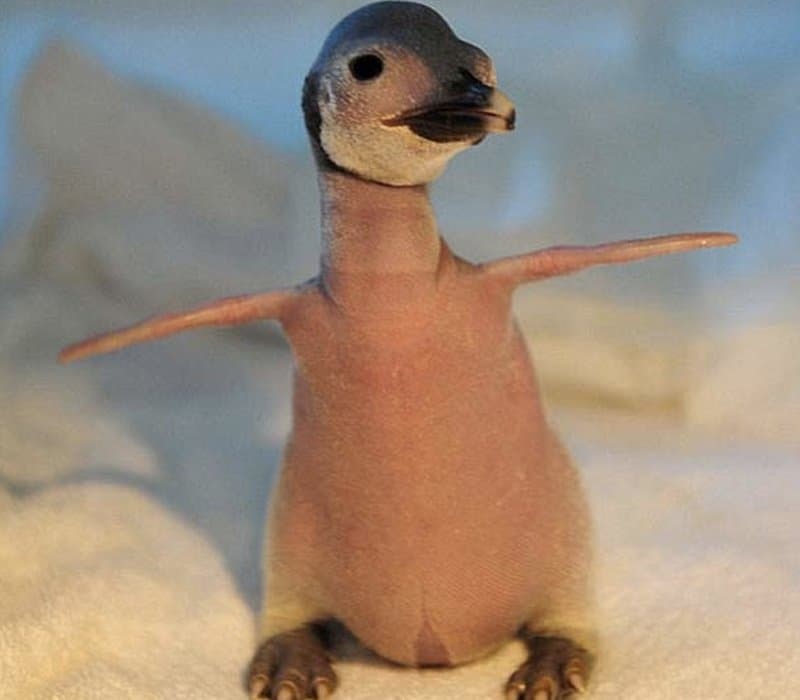 We still think it looks cuddly and adorable enough. 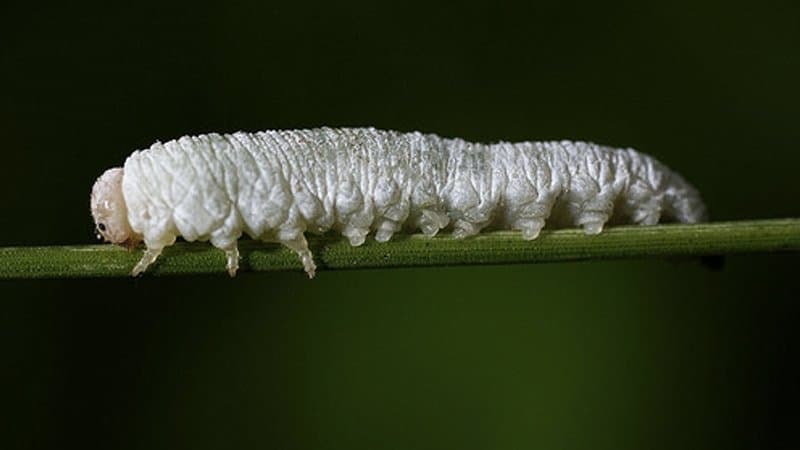 The caterpillar in the photo is one unfortunate insect, he’s both albino and bald at the same time. Sphynx is a hairless cat breed whose skin feels like a skin of a peach. 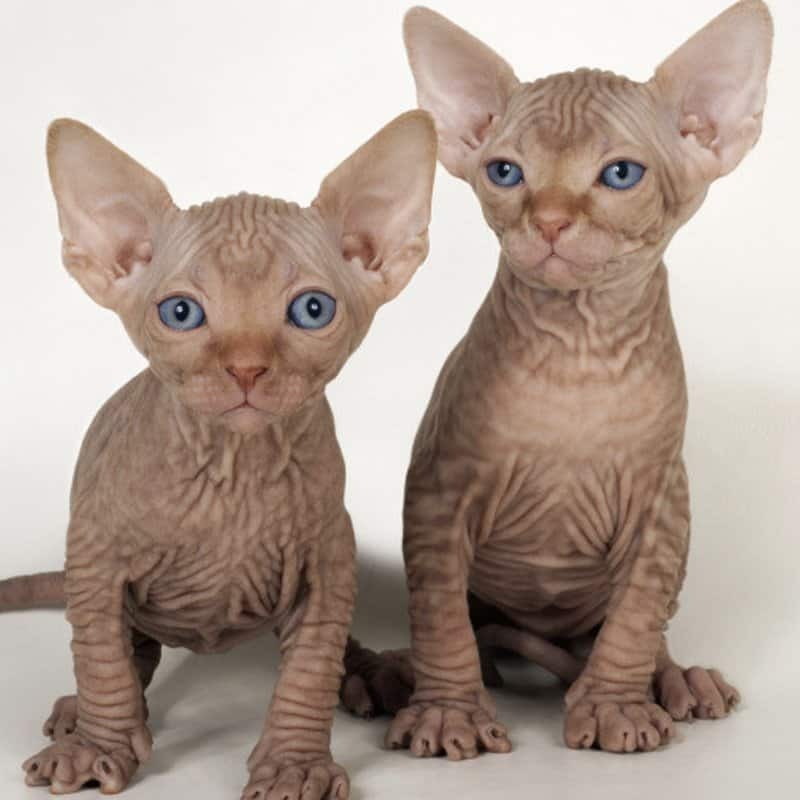 The breed developed after a domestic cat gave birth to one hairless kitten fifty years ago. Breeders still sell these furless cats for pets.